With a 15-strong fleet of specialist vehicles on the road, County Fermanagh based Greentown Environmental is Ireland’s premier Environmental Maintenance solution provider. We caught up with founder / MD John-Ross Armstrong to find out more about the impressive fleet and the range of high-quality services provided by this award-winning operation to local authorities and private sector enterprises on both sides of the border. Greentown Environmental Ltd is the largest provider of weed control services in Ireland. They also specialise in grounds maintenance, gully cleaning and jetting, landscaping and winter maintenance programmes, with a vast client portfolio comprising of local authorities, central government departments and a range of corporate customers in urban and rural areas. Greentown Environmental offers an unrivalled level of customer service, meeting all relevant quality, health & safety and environmental standards. Weed control services provided cover invasive & noxious weeds as well as urban & highway weeds in addition to railway and moss & algae weed control. 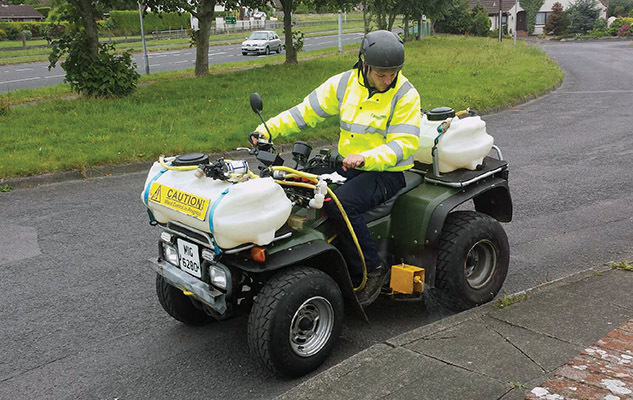 With extensive experience working for public sector organisations throughout Ireland, the professional weed control team is highly-trained, fully-certified and motivated to provide safe and easy maintenance of footpaths and highway infrastructures. Greentown is committed to providing clients with a cost-effective, safety-conscious and environmentally-responsible service. Fully-trained, -qualified and –experienced operatives (ranging from NPTC-certified spray operators to BASIS-registered technical advisors) are equipped with the most up to date and compliant equipment to provide safer and cleaner urban environments. Audited annually by independent bodies, Greentown holds the following standards: Quality Management System ISO 9001:2008; Environmental Management System ISO 14001:2004; Occupational Health and Safety Management System BS OHSAS 18001:2007; BASIS Amenity Assured Standard; and Investor in People Status. Greentown Environmental is the island’s leading specialist in all weed control services servicing the specialised industry of hard surfaces consisting of footpaths, Roads motorways and dual carriageways. Greentown also provides proactive and reactive winter maintenance services for a number of clients. 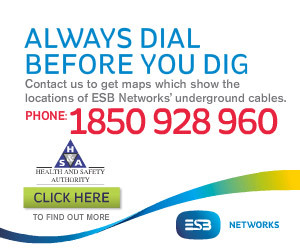 These include: attend and grit when requested; attend and grit based on weather forecast; and snow clearance. A full gritting service is provided to both public and private sector this comprises of going on-site (normally outside working hours) and gritting car parks, entrances and footpaths etc. As gritting is most effective before frost, ice or snow forms, Greentown uses Official Met Office reports, which are specific to each location. Each vehicle is fitted with GPRS tracker units, enabling accurate monitoring of their position and ensuring a systematic service. Furthermore, Greentown Environmental works in partnership with local authorities, construction companies and private clients throughout Northern Ireland in gully cleaning and jetting. They are highly experienced at gully cleaning in all types of geographical environments and have thereby developed and refined operations to the highest standards Services provided including cleaning and emptying of gullies; medium- and high-volume pressure jetting. Founder John-Ross Armstrong has worked in environmental maintenance services for the past twelve years. He established Greentown Environmental in April, 2010 and – on the back of providing a premium service – the company has grown dramatically during the intervening years. Today, he holds a host of prestigious contracts, including treating footpaths for Dublin City Council, Transport NI and Housing Associations and various other public sector bodies. In addition to the new Fusos, the fleet comprises two 18-tonne MAN rigid for gully cleaning; two DAF beaver tails; two 7.5-tonne box lorries; two Ford Transit tippers; two Transit panel vans; and one Volkswagen Caddy van as well as a 24 customised ATVs with fully-tested weed control equipment. Needless to say, John-Ross is pleased with the progress Greentown has made in the last five-and-a-half years. “We have gone from being subcontractors to being principle contractors,” he points out. “Since the start, we have tried to do things right and to build up a good solid reputation. This had led to a lot of repeat business. “Our contracts are quality-based and that’s what we tend to go for."